Twinkle is this week’s photo challenge. Sparkle, light, shiny – those are the things that come to mind when I think of the word “twinkle”….unfortunately for me, I don’t have many (if any) twinkly pictures. So I decided to go with an illusion of twinkly. Just head to a dry dusty place, turn on your flash, and voila! Instant twinkle. Or snow. This picture was taken in Cholula, Mexico. Nuestra Señora de los Remedios Church, built on top of an ancient pyramid, was completed in 1575. It is a gorgeous church with an orange exterior that is bright in the hot sun. At night, there are strategically placed uplighting that makes the building glow under the stars. Architecturally speaking, it is a beautiful sight. And a beautiful shot of a beautiful scene. Very nice! Thanks, Suyash! I agree with you – Mexico really is a fascinating and awesome country. I can’t wait to go back one day! 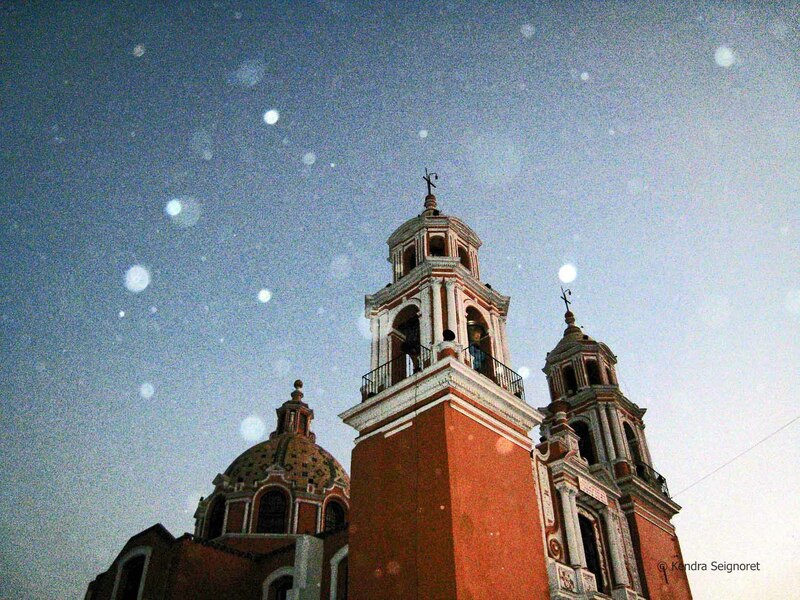 Did you visit other places besides Puebla and Cholula? Nice! Of that list, I’ve only been to Mexico City – really interesting city! Beautiful shot! It almost looks like snow!